The National APIA Panhellenic Association is proud to partner with the National Coalition Against Domestic Violence (NCADV) to #TakeAStand. Take A Stand is a call to action meant to bring attention to the issue of domestic violence for Domestic Violence Awareness Month and throughout the year. By taking a stand, NAPA members remind the nation that there are still countless people—victims and survivors, their children and families, their friends and family, their communities—impacted by domestic violence. NAPA members, leaders, and supporters should not stop until society has zero tolerance for domestic violence and until all victims and survivors can be heard. As domestic violence has been a national agenda and social issue, NAPA is bringing awareness towards this matter. Domestic violence thrives when people do not speak out. 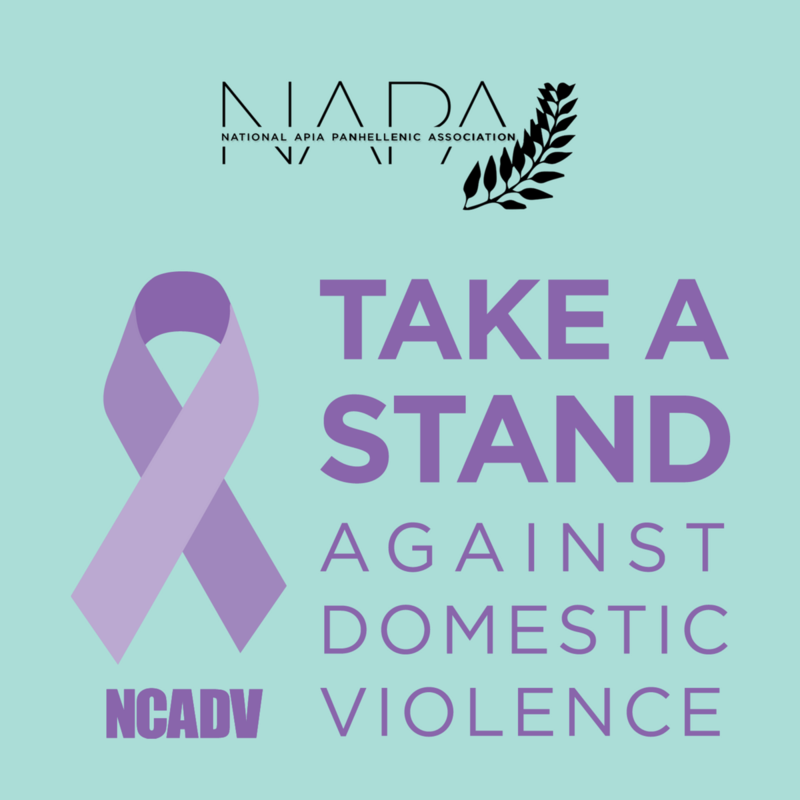 Therefore, NAPA is organizing its own Week of Action alongside NCADV on social media to facilitate conversations about domestic violence to the greater community.